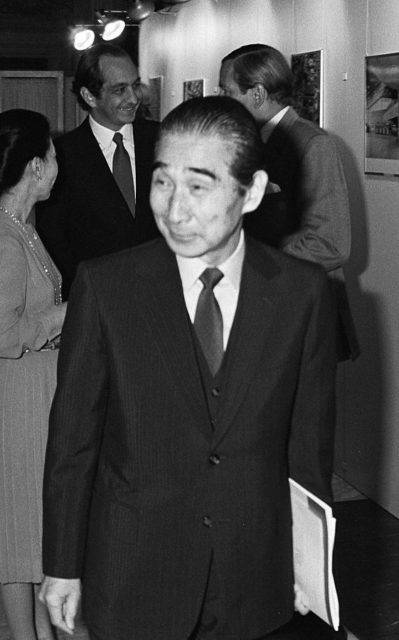 One of the most significant architects of the 20-th century was the Japanese architect, Kenzō Tange, notable for his ground-breaking designs that fused traditional Japanese styles with modernism. Tange completed projects on the realms of 5 continents. His university studies on urbanism allowed him to handle redevelopment projects after WWII, and his ideas can be explored in astounding designs particularly for Tokyo, Japan, and Skopje, Macedonia. He was also part of the Metabolism architectural movement, a post-war Japanese movement that brought together ideas about architectural megastructures and biological growth. 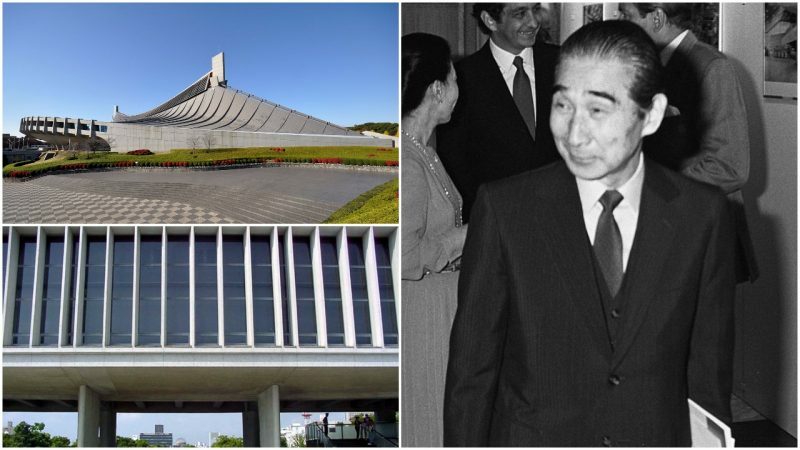 The movement was first exposed at the International Congress of Modern Architecture in 1959 where the provisional projects were delivered directly from Kenzo Tange’s studio. Tange would note: “It was, I believe, around 1959 or at the beginning of the sixties when I began to think about what I was later to call structuralism”. The movement would influence the Dutch Structuralism, whereas structuralism itself will make the general architectural movement of the 20-th century. As a high school student, the Japanese architect was influenced by the Swiss modernist, Le Corbusier. The work of Le Corbusier was crucial for Tange to become an architect, although in his high school days he poorly performed in key subjects like mathematics and physics. Kenzō needed two more years after high school and extra effort to pass the entrance exams so to qualify for admission in some of the renowned universities in the country. In 1935, he finally enrolled at the University of Tokyo to study at the architecture department. Much focused on urbanism, the studies prepared the young mind to have good standings for post-war reconstruction projects. In 1946, he accepted an invitation by the War Damage Rehabilitation Board and delivered some plans for cities that had suffered damage from the WWII. His plans targeted Hiroshima and Maebashi, and one of the first accepted designs was for an airport in Kanon, Hiroshima. 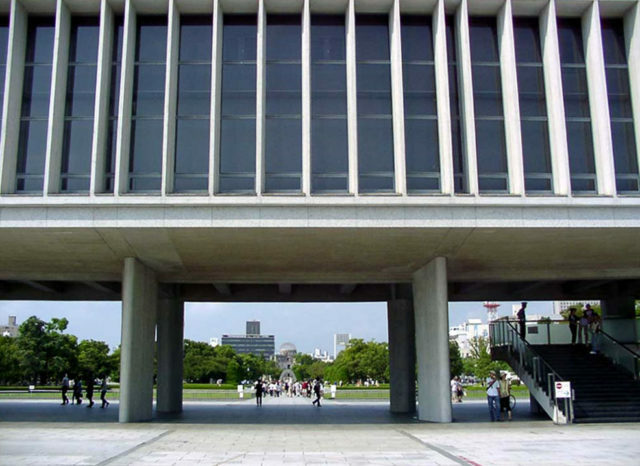 The first important international recognition for Tange came as he won a design competition for the Hiroshima Peace Memorial, which had the goal to preserve buildings that were close to ground zero since the atomic bomb explosion. Tange’s design proposed a museum with an axis running through a park, intersecting with a boulevard and an atomic bomb dome. “Architects and urban planners of the modern movement, like Kenzo Tange himself, were confident in their role of remaking the post-war world”, writes This City Knows. A similar skeleton structure as of the Hiroshima Peace memorial had also his own house that was completed in 1953. The house played with traditional Japanese designs and combined timber and paper; the construction was based on the traditional Japanese tatami mat module, whereas the largest room was designed to have flexibility and be able to separate in three distinct rooms through an installment of fusuma sliding doors. 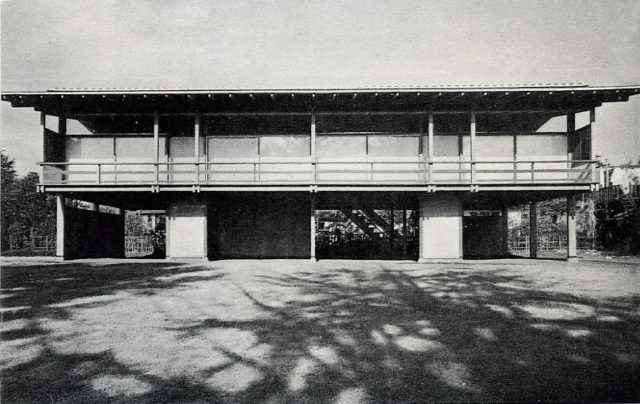 As Tange’s reputation was continually growing, more of his projects were completed in Tokyo and all across Japan. 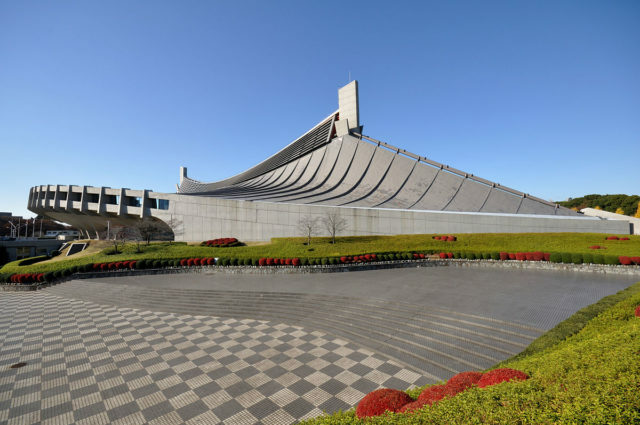 On the occasion of the 1964 Tokyo Olympics, which were the first Olympics held in Asia, Tange delivered some authentic work on the Yoyogi National Gymnasium and swimming pool. The roof for the design was inspired by the skyline of the Colosseum in Room and the buildings by Le Corbusier designs presented for the Brussels World Fair in 1958. The Japanese architect successfully adopted western ideas and adapted them to meet domestic requirements. The results were astounding. During the midst 1960’s, he would work on another type of redevelopment project. This time, it had to deal with a city that suffered a severe earthquake. On the dawn of 26th July 1963, a disastrous earthquake destroyed nearly everything in Skopje, Macedonia. 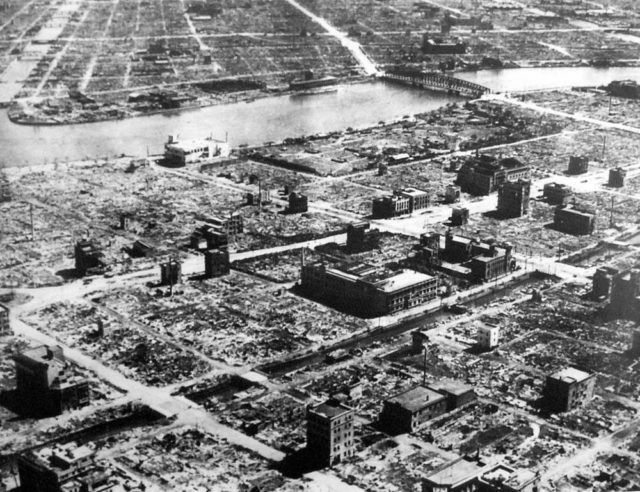 The epicenter of the earthquake was in the city, thus the damage was quite severe and followed by numerous casualties. On the occasion of this unfortunate event, Kenzō Tange delivered a futuristic-like “Master plan for the rebuilding of Skopje, Yugoslavia after the 1963 earthquake” in 1966. 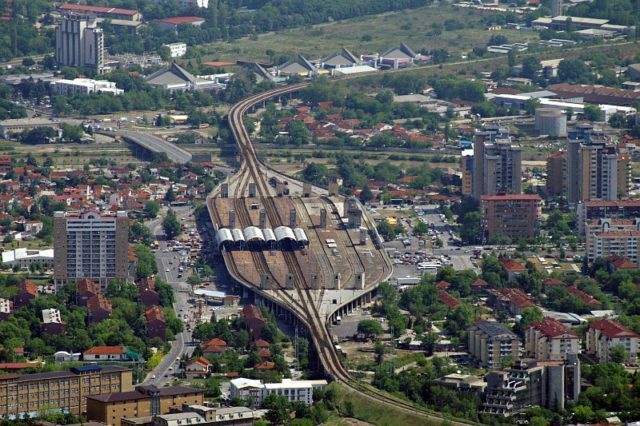 The plan had some really exceptional concepts and designs like the Skopje Train Station which conceptually served as “the City Gate”, the main entrance into the central area of the city. There was also “the City Wall”, a resident area that strategically was close to the business realm of the city and was purposed to revitalize the movement in the central parts of the city. Although ground-breaking, the plan was never 100% completed. “One of the most famous figures to play a key role in the reconstruction of Skopje was the award-winning Japanese architect, Kenzo Tange. He delivered the winning master plan for the new city center of Skopje and won the international planning competition for the reconstruction of the city, launched by the United Nations in 1965. The Master Plan was a civilization achievement of its time”, writes This City Knows. The overall work of Tange, not only in Tokyo or Skopje, influenced a generation of architects all around the world. In 1987, his accomplishments were rewarded with the Pritzker Prize for architecture, that recognizes the world’s most visionary architects. And it all came from a person who faced difficulties with maths and physics during high school.